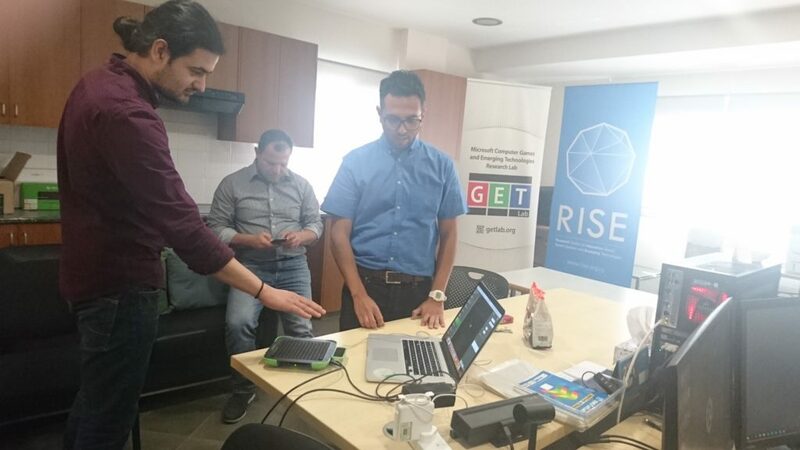 An invited talk about Haptic devices and Virtual Environments was successfully delivered by Dr. Orestis Georgiou (Director of Research at Ultrahaptics and leader of the Academic Program aimed at facilitating R&D in mid-air haptics and focused Ultrasound), on April 16, 2018 at GET Lab. 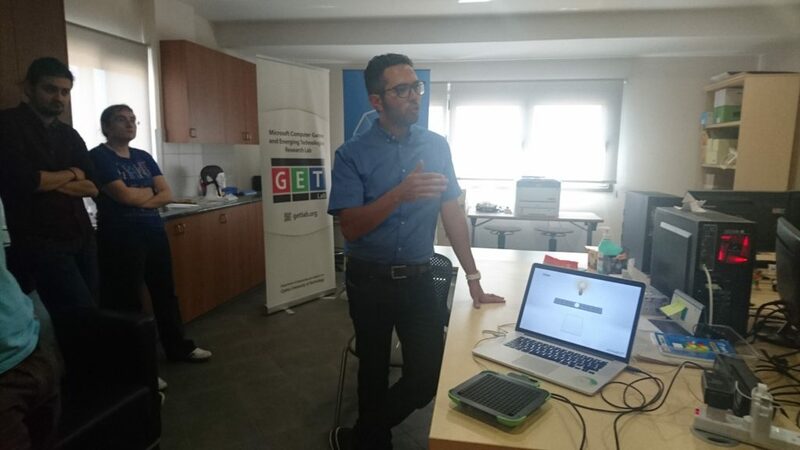 During his talk, Dr. Georgiou demonstrated the Ultrahaptics breakthrough haptic technology device. This device, with the use of an array of ultrasound transducers and motion tracking cameras, can provide mid-air haptic feedback to the palm of the user, simulating three-dimensional shapes and textures. Dr. Georgiou also analysed the technical aspects, the challenges and the prospects of this technology. Finally, Dr. Georgiou discussed the potential of mid-air haptics in various fields (automotive, industrial & medical interfaces) emphasising on virtual and augmented reality applications.